Harri Koskinen’s four glass works are activated as transducers in a Morrow True3D sound space. The sound is working in the glass. 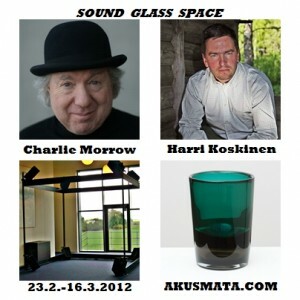 The glass works are sounding in the soundscape. The space is created by the sound.